Limit 1 per person; may purchase 1 additional as a gift. Valid toward merchandise. Full value of Gift Certificate must be used in 1 visit. 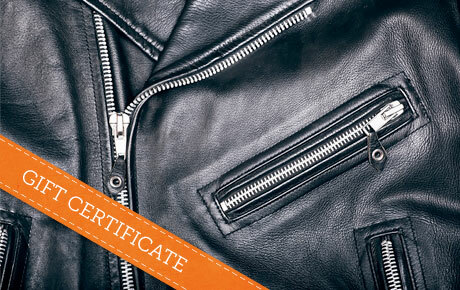 Race to victory with 50% off a $20 Gift Certificate to Victory Leathers in Palatine. This one-stop leather shop stocks all the gear you need to ride in style. Victory Leathers stocks only high-quality merchandise, making their storefront a worthwhile visit for everyone from diehard leather lovers to curious passersby. They carry a wide selection of leather goods, from boots, gloves and bags to jackets and a variety of stylish Ed Hardy items. Motorcycle bags, jackets, seat cushions, cup holders and more will keep biking enthusiasts in hog heaven. Pick up this deal for well-made and stylish leather goods at Victory Leathers.